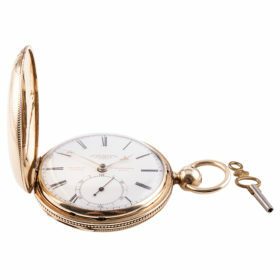 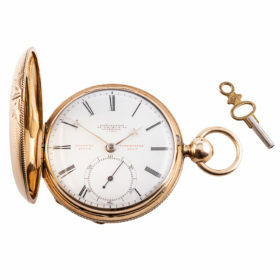 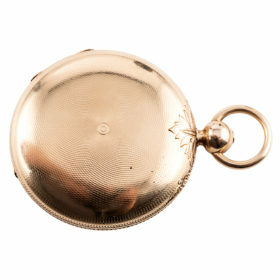 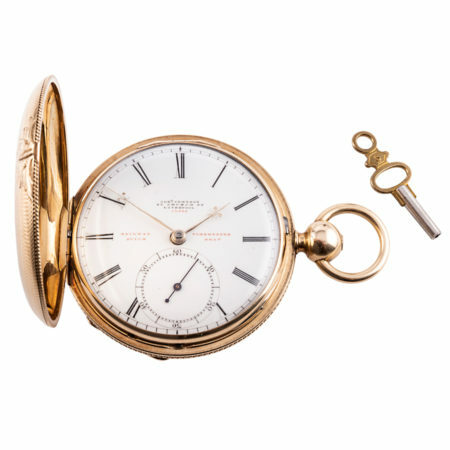 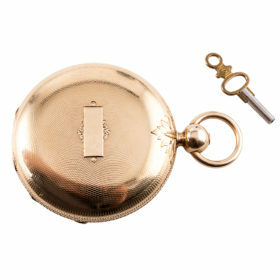 This English, Joseph Johnson key wind pocket watch features a 17 jewel chain driven fusee movement. 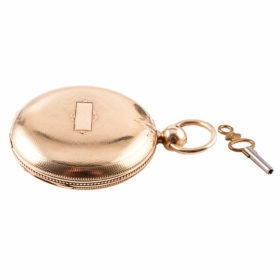 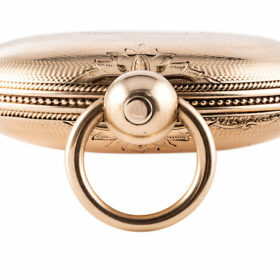 The rare, full sized, 18K yellow gold hunter case includes a hinged bezel. 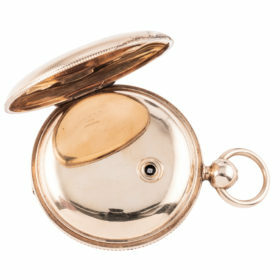 The intricate engine turned case houses a kiln fired enamel dial and is marked Jos H Johnson, 25 Church St, Liverpool. 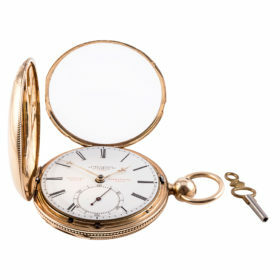 Roman numerals and solid gold fleur de lis hands accent the dial, which includes a seconds dial with a blued steel hand.